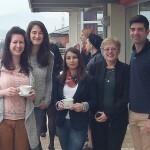 Exploring the religious identity of young people; a conference held at Slough Grammar School featuring Prof Eleanor Nesbitt, group discussions and resulting DVDs. Who Am I? sprang out of an event held at the Friends’ Meeting House in Reading as part of Inter-faith Week 2010. It was a great success, and the organisers wished they had filmed it; we were approached to help replicate the event at Slough Grammar School (now Upton Court Grammar), and to record it and edit the results into resource DVDs with supporting material. This powerful and thought-provoking resource is very good value for money and is highly recommended for the RE classroom. Slough has the highest proportion of people from different faith backgrounds of any town in the UK, a diversity reflected in the pupils at Slough Grammar School, many of whom are of South Asian origin whether Christian, Hindu, Muslim or Sikh. Eleanor Nesbitt gave her opening talk to an audience of over 200 people which included the Slough Grammar sixth form and students from Maidenhead, adults from Inter-faith groups in High Wycombe, Maidenhead and Reading, and members of the Oxford Diocesan Committee for Inter-faith Concerns (ODCIC), who sponsored the project. The discussion groups comprised some 60 people from the audience at the opening lecture. 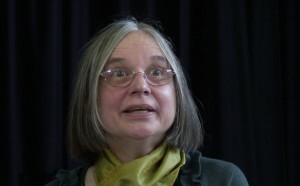 The success of the DVDs stems from the framework created by Eleanor Nesbitt and the quality of the discussions with students reacting to her questions. The quality of their responses and their willingness to respect the points of view of others is both a credit to the School itself and also a model of the potential effectiveness of dialogue between those of different religious traditions. This has implications for the teaching of Religious Education in schools, for the encouragement of dialogue in Inter-faith groups and for reflection within specific faith communities. Much of Eleanor Nesbitt’s research has been into the religious identity of young people especially those from South Asia. Some of her recent work has been with the religious identity of children of mixed faith marriages. Her publications include: Interfaith Pilgrims: Living Truths and Truthful Living (Swarthmore Lecture, Quaker Books 2003), Sikhism: A Very Short Introduction (OUP 2005) and, with Robert Jackson, Hindu Children in Britain (Trentham Books 1993), Intercultural Education: Ethnographic and Religious Approaches (Sussex Academic 2004). The set comprises one DVD of the Event itself, and a second DVD of the Group Discussions that followed. This second DVD also includes a Quick Guide and an Education guide. Pupils from the school discussed a number of aspects of identity stemming from Dr Nesbitt’s talk, including the effect of dress, language and situation, the impact of parents, religion and culture, and the process of conflict and change. Dr Eleanor Nesbitt, Professor Emeritus of Religions and Education, University of Warwick, talking at the event at Slough Grammar School. Resources for Who Am I? 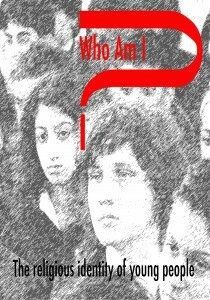 Download the Who Am I? DVD leaflet, which includes a full list of the topics covered in the talk and the discussion groups, as well as the background to the project and a section on how to use the material. Watch a ten-minute compilation of clips from Dr Nesbitt’s talk and the group discussions.